I was just killing time. It occurred to me that I didn't know much about the personal life of the most influential chess player of my lifetime, Garry Kasparov. 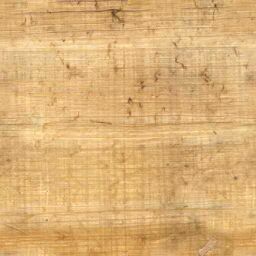 So, I looked around and found that much of this personal information wasn't quite so easy to locate. What I thought would take me 5 minutes, took me a couple hours. And I wasn't even asking for much, just some basic facts. Garryck Weinstein, born on April 13, 1963 in Baku, the capitol city of Azerbaijan in the Soviet Union, was the son of Kim Moiseyevich Weinstein and Klara Shagenovna Kasparova. When Garryk (or Garri) was 12, his father died in an automobile accident. Soon after, Garryck changed his name to Garry Kasparov (reflecting that of his mother while adding a Russian flavor to it). Garry had learned to play chess from his father at 5 years old and at the age of 7 was admitted into the Young Pioneer Palace, a more specialized Soviet educational system that promoted various disciplines including those of sports, sciences and culture with an added stress on socialist ideology. 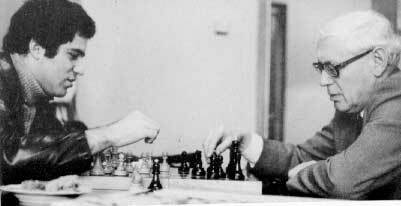 By the time his father died, Garry had spent almost 2 years in the famous Botvinnik School of Chess where he caught the eye of Botvinnik himself. "The future of chess lies in the hands of this young man." Kasparov, of course, became the youngest World Chess Champion and is widely regarded as the best player in the history of the game. But despite all this, his private life isn't well publicized. The best I could find in a short time is vague, leaving exact dates and certain names questionable. 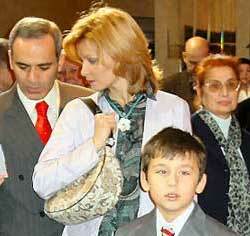 Garry Kasparov was married three times and has one child from each marriage. His first marriage was to Masha in the early 1990's. 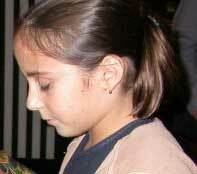 They had one child, his daughter Polina, who was born in Helsinki either late in 1993 or early in 1994. Masha and Polina live in New Jersey. A court order (a legal battle that was being fought at the time of Kasparov's historic loss to Krammnik) forbids Polina from visiting Kasparov in Russia where it was feared she may be detained. 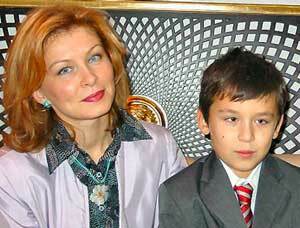 His second marriage was to Yulia (Julia) with whom he shares his son, Vadim, born in 1997. They live in Moscow. 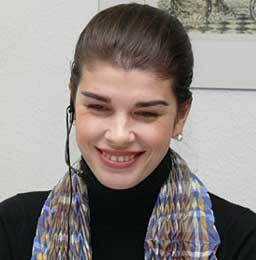 His current wife, with whom he shares a daughter, Aida (born in December, 2006), is the former Daria (Dasha) Tarasova. They also live in New Jersey according to a New York Times article, but another Times article claimed they spend time at Kasparov's flat in New York City. Either way, the reason for being in America is to be out of harm's way.